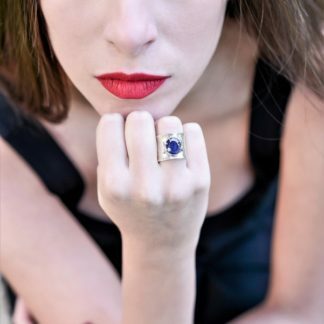 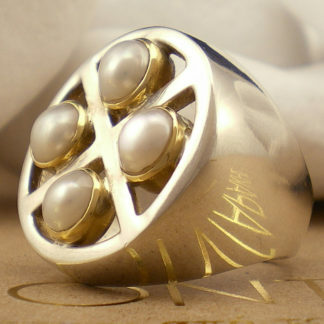 A wonderful pearl ring from the A. Leondarakis collection. 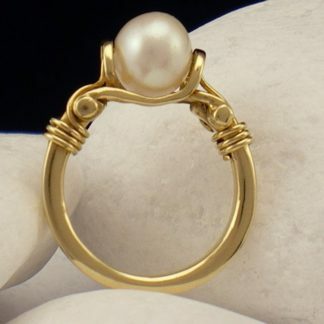 An impressive pearl ring from the A. Leondarakis collection. 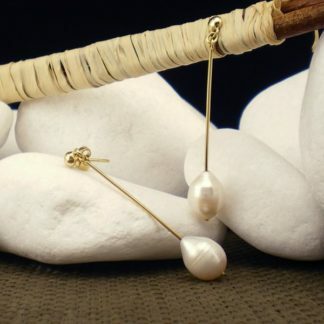 The ring is handmade form solid sterling silver while the cultured pearl stone is set in solid 18k gold. 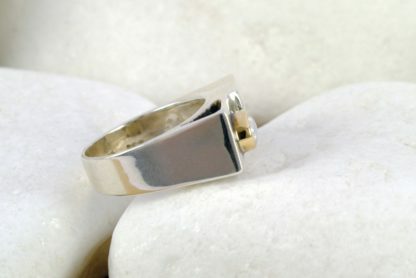 The impressive decorative bar at the side of the ring is made from solid 14k gold. 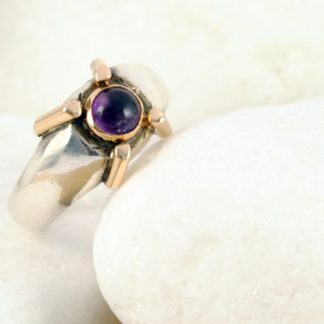 The ring will be sent to in a presentation box for you to keep or present as a gift. 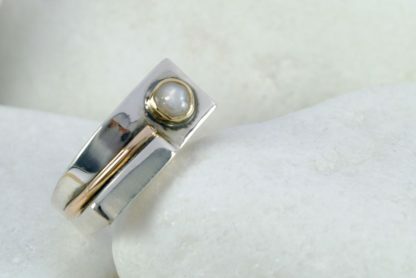 The ring is available in all sizes, please note your size at the “Order Notes” at “Checkout” (find your ring size). 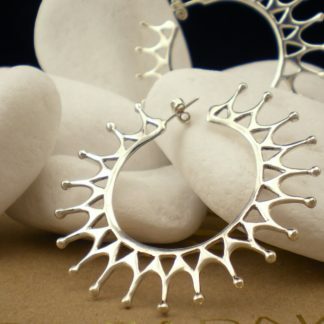 An extra cost might occur for very large sizes, please contact us for details.